WHITE HEATHER & SHAMROCK - 23 metres of elegance White Heather and Shamrock are racing off Elberry Cove, Torbay in the 1920s. Shamrock was owned by Sir. 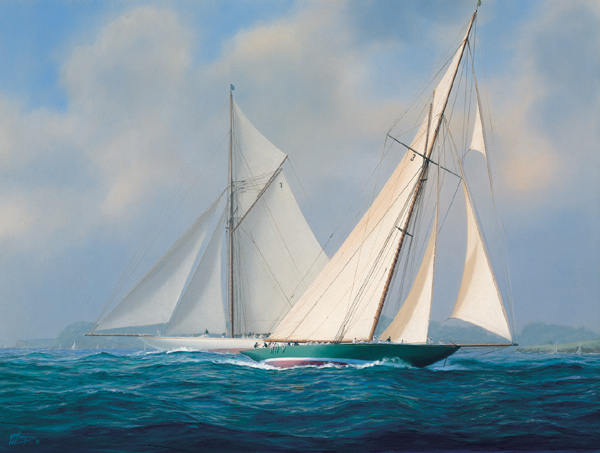 Thomas Lipton and was a totally different yacht to his five America Cup Challenger yachts also called Shamrock.